On the Mic with Tim Drake: Yahoo! saves Greendale! Community Season 6 is coming! Yahoo! saves Greendale! Community Season 6 is coming! Yahoo! is making #sixseasonsandamovie a reality! Community has been brought back from cancellation by Yahoo! Screen to give us Season 6. Yahoo! reached the deal with Sony to bring us 13 news episodes. 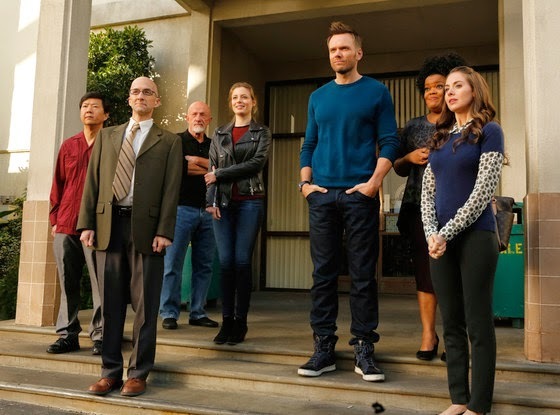 Joel McHale, Jim Rash, Gillian Jacobs, Danny Pudi, Alison Brie, Yvette Nicole Brown and Ken Jeong are all set to return for the sixth season. No word yet on Donald Glover's return, but hopefully this season will bring us some more Troy and Abed in the morning. Stay tuned for more updates!